A year after state lawmakers and other snake oil salesmen told the public that legislation passed in 2014 “ended the bounty system”, most local speed camera programs have yet to make any changes to their contracts to end the practice of paying contractors based on ticket volume. The Maryland Drivers Alliance took a poll of nine local governments to see whether their contractors were paid a cut of each ticket a year ago, and whether there has been any change. Not one of the agencies we asked responded that their payment terms had changed. Prince George's County 37.5% of each $40 fee. “The parties agree to the maximum fee as allowable under state law" 37.5% of each $40 fee. "The parties agree to the maximum fee as allowable under state law"
Montgomery County's representative confirmed that the county's contract included a clause which was to have permitted the county to immediately switch to a flat fee if the law was changed. "In the event that the applicable law changes to prohibit the per paid citation compensation formula, the County will compensate the Contractor as follows in lieu of any amount provided in Section III.A. and Section III.D. above". The alternate payment terms, which Montgomery County has not chosen to switch to as of the date of our inquiry, would have been a flat fee per month per camera. The county's response confirmed that this clause was NOT exercised after the reform bill went into effect, and that their per-ticket “bounty system” arrangement with Xerox continues unchanged. Meanwhile, the city of Laurel confirmed that they had extended their existing contract terms in may of 2014, a month after “reform” legislation was passed. The “reform” bill included a loophole which allowed local governments until 2 months after the bill was approved by the legislature to “grandfather in” new contracts. We had previously reported how one speed camera contractor hadd boasted in their press releases about having locked in new long term agreements and that as a result the reform bill would not affect them. The City of Laurel took a total of 33 days to provide a reply to a few simple questions. We send the request to the city on February 27. They acknowledged receipt of the letter we sent. On March 2nd, we asked the city “Please confirm receipt of this email and provide the direct contact information for the "local designee" so that I can ask them how long until I can anticipate a reply." The response was “Your e-mail was forwarded to the City Solicitor’s office for a response” and gave the name “John Shay”, who is an attorney working for the firm Bennan McKenna Manzi Shay. After several follow up inquiries to Mr Shay, to which we received short acknowledgements, we were told on March 24th that “I will have a response in the next day or two “. It was not until April 1 that we got a response, which indicated that it was not Mr Shay but rather Leutenant John Hamilton who was “local designee” (aka “ombudsman”). Thus the city had not forwarded our request to the “local designee” as we had asked, and instead subjected it to a 4 week long legal review. Takoma Park also told us our letter needed to go through “legal review” before it could be answered. The term “Ombudsman” is generally defined to mean “”a commissioner who acts as independent referee between individual citizens and their government or its administration”. So are the selected people in any sense independent or objective? We inquired of some agencies who was their “local designee”, a position which some have referred to as an “ombudsman”. The City of Rockville acknowledged that their “Ombudsman” is Michael England, the commander in charge of the program. “The Photo Enforcement Unit has been under my command since 1 July 2013.” wrote England. 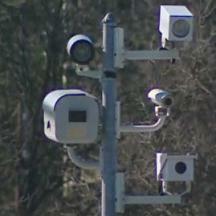 The City of Gaithersburg, meanwhile, appointed their chief speed camera operator as “Ombudsman”. Takoma Park stated that their “local designee” was “Ms Cannatella”, whose responsibilities included “Daily Deployment of each camera”. However our letter addressed to the “Local Designee” and asking for a reply specifically from that person, was not responded to by Ms Cannatella, but rather by Captain Tyrone Collington, the commander in charge of the program. Laurel stated their "local designee" was previously a speed camera operator, and was given the new title of Local designee in September 2013 (the statute creating that title had not been passed until 2014). A quick google search for the individual's name indicated he has held the role of the community policing and traffic unit supervisor in the past. Montgomery County repeated that they do not use the term “Ombudsman” to describe their local designee, a statement they have made to us at least twice in the past. Montgomery initially assigned the program manager Richard Harrison as the "local designee", but now the position apparently belongs to the programs's deputy director Lieutenant David McBain, (both of whom answer directly to Captain Tom Didone, the director and most stalwart defender of all aspects of the county's speed camera program). A few local governments indicated that they were required to change their contract terms by June of 2017, and a few indicated that they were “required to move to a flat fee”. However in previous instances Montgomery County has stated in the past that they were looking at “hybrid leases” or “tiered systems”. It's unclear whether such alternate arrangements might still be based on ticket volume without using the term "per ticket"... an won't be until after such arrangements are actually signed. It is worth noting that the bounty system was supposed to be banned under the original language of the law, present when the state's speed camera statute was first passed (based on the fiscal policy notes of the bill and statements by former council member Phil Andrews). However Montgomery County proceeded to invented the loophole which lets them pay on a per ticket basis. In fact Ike Leggett publicly stated that "Under the contract, we pay a flat fee", when in fact they had a per-ticket contract, shortly before the details of the arrangement became generally known to the press. So we might be forgiven for not accepting assurances now that they will eventually adopt a flat fee, given that public officials lied about this in the past. The Maryland Drivers Alliance identified the language in last year's "reform" bill that could be used to continue paying based on ticket volume forever before the bill was even passed, but the legislature ignored our concerns. In fact, last year's reform bill was drafted by an informal “Speed Camera Reform Work Group”, the existence of which was acknowledged in an email written by Montgomery County Captain Tom Didone dated August 27, 2014, : "Last year, when I worked on the Speed Camera Reform legislation workgroup, I was informed by staff that legislators voted to remove the “Squealer provision” as it was referred to when they revised the law in 2009. It is my personal opinion that the legislators took this action without being fully informed of the consequences because they did not have the same workgroups as they did last year." The Maryland Association of Counties also referred to this group in a press release: "During the 2013 Session, the House Environmental Matters Committee formed a stakeholders’ workgroup...". Montgomery County's new local designee confirmed that Delegate James Malone organized the group's "off the books" meetings in a letter dated April 6, 2015 "Delegate Malone would hold meetings to discuss the HB 929 and invite people to attend and participate into the discussion. Mr. Harrison, Major Liberati and I were, along with others were invited to participate. This was part of his legislation process and I am unaware of any minutes, agendas or other information." Mr Richard Harrison was the program manager from Montgomery County's speed camera program, and Major Liberati is the head of Prince George's County's program, They were apparently intimately involved in meetings to write the reform legislation which allegedly "ends the bounty system", opponents of speed cameras were not.